If there’s one type of shopping us Brides Up North girls love, it’s shoe shopping! That’s why we’re super excited to be introducing our new blog sponsor Pink Paradox, to you lovely brides-to-be today. Though it’s tempting to take a magpie approach to buying your bridal footwear; snapping up the first pair of sparkling skyscrapers you find could leave you hobbling around midway through your big day if they’re not built for all-day wear. Thankfully the experts at Pink Paradox provide fancy footwear that scores equally high in the comfort and style stakes – plus there’s an option for all tastes. From sophisticated sling backs and pretty peep-toe platforms, to elegant kitten heels and fashionable flats – ladies, you will literally be spoilt for choice! Can you give us an overview of Pink Paradox and what it offers to brides? 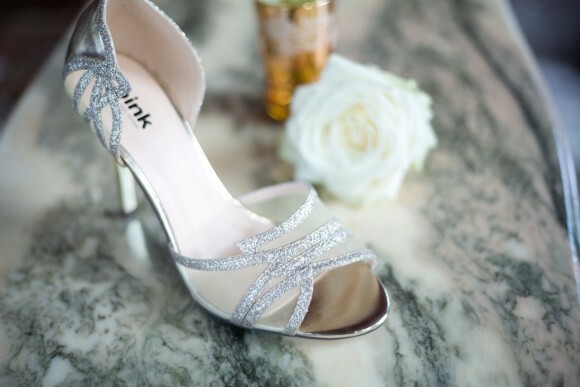 Pink Paradox say: We started out in 2002 after identifying a gap in the market for bridal shoes that are stylish yet comfortable so Pink Paradox was born. What we offer brides is affordable and comfortable heels whilst not sacrificing any of the style! 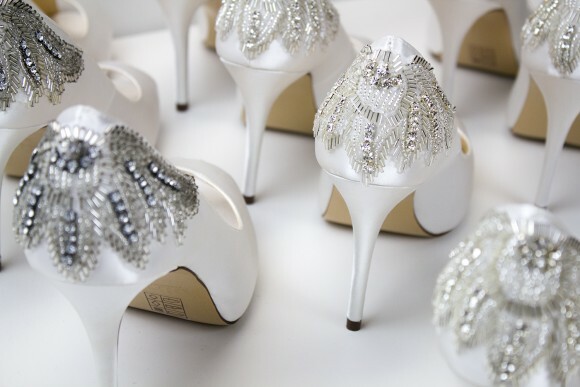 How important do you feel shoes are to a bride’s wedding day attire? We could be slightly bias here but incredibly important! Not necessarily from just a style point of view, but this is one of the biggest days of your life you’re going to be on your feet for most of the day, from walking down the aisle to your first dance, and then finding and talking to all your guests. You’ve got to make sure you have shoes you can actually walk in; and luckily that’s what we specialise in! What advice would you give to brides when picking their wedding shoes? Have a selection ready and try them all on; which ones are comfortable, which can you walk in? Our best tip is to make sure brides go for something they would usually wear, do not be tempted to go for extremes as you don’t want to end up regretting it on the day! Can you give us an overview of the different styles of wedding shoes that Pink Paradox offer? We have quite a range on offer so we can cater to most wedding parties! We have high heels for the daring bride, mid-heels for the confident bride, flats, laced, sparkling, pleated – we can go on! 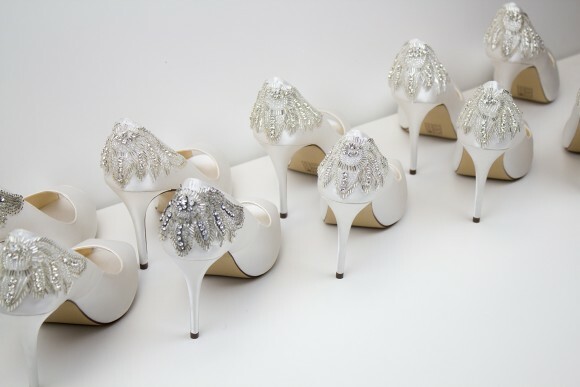 With a range available we can provide heels for the bride for during the day, for the reception, for the mother of the bride and even for the bridesmaids! 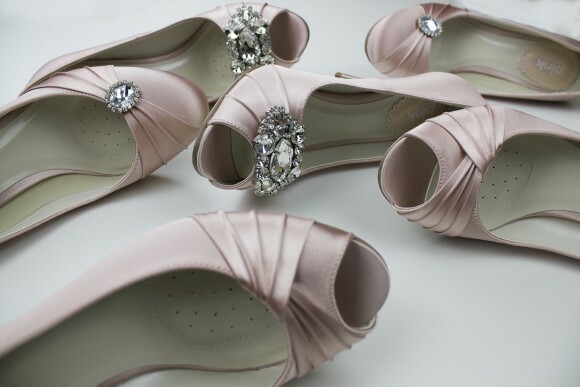 Pink Paradox offer bridal shoes in luxurious dyeable satin, allowing brides to have their shoes hand coloured to suit any dress. Can you tell us a little more about the service and how it works? We sure do! We have an in-house colour expert team especially for this service. Quite a few of our shoes are dyeable so all you would need to do is buy the shoes, fill out a dye form and attach a swatch of the colour you want us to dye to and we will crack on! We pride ourselves on accurate colour matching so you won’t go away disappointed. 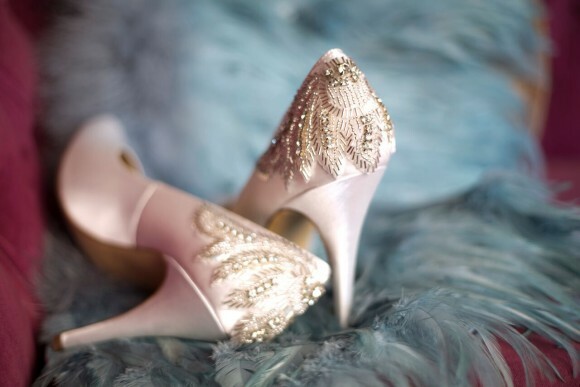 What sets Pink Paradox apart from other bridal footwear designers? Pink Paradox offers range as well as stylish, on trend bridal footwear that is both attractive and comfortable. With a selection of our shoes also being dyeable we can make sure you end up with the perfect shoes for your special day. 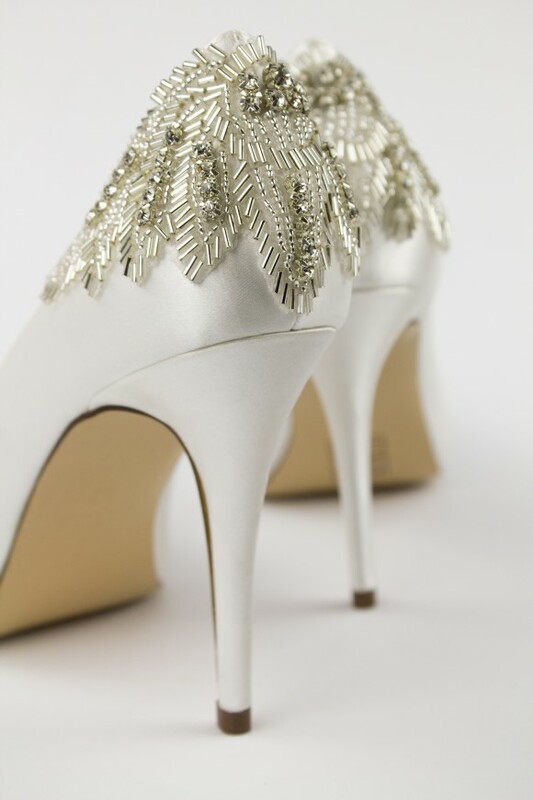 What would you say are the current trends in bridal footwear? Gold metallic is very popular at the moment, along with ‘heel bling’ – anything that sparkles or adorns the heels is loved, so a lot of crystals, embellishments and details. Do many brides buy more than one pair of shoes for their wedding e.g. heels or the day and flats for the reception? Quite a few do yes! Although our heels are comfortable, not every bride fancies dancing the night away in a pair of heels after a couple of drinks! It’s sometimes best to play it safe and let your feet relax after the ceremony, and luckily we have a range of flats available just for this! Does Pink Paradox offer footwear for other members of the wedding party too? 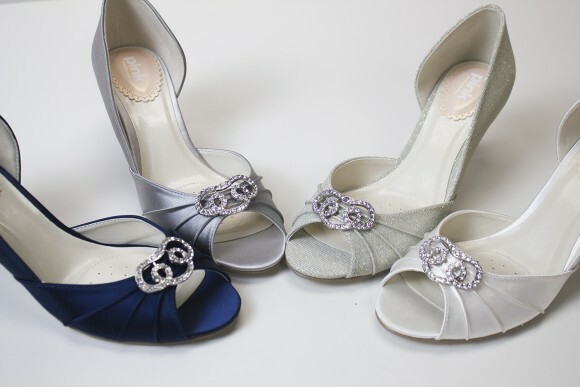 We have a range of bridal footwear available which includes shoes for both bridesmaids and mother of the bride, also with our dyeing service you can make sure the heels match the outfits perfectly. In addition to footwear, what other accessories do Pink Paradox offer? 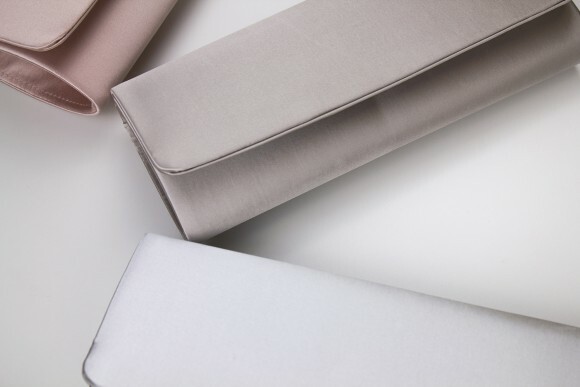 At Pink Paradox we offer a range of bags in styles that match our shoe styles, a number of these bags are also dyeable so you’re matching look will be second to none! Where can brides purchase Pink Paradox shoes and accessories from? We are stocked nationwide by bridal shops so just type your postcode into our website store locator to find your nearest one! We are also stocked online with Debenhams and House of Fraser. How can Brides Up North readers find out more about Pink Paradox and see more of its designs? You can check out our website or follow us on our social media channels, including Instagram, Twitter, Pinterest and Facebook. Any other exciting news to share? We have numerous new styles coming out in the next few months perfect for the summer bride so be sure to follow our social media and keep an eye out! Contact Brides Up North for details of our sponsorship packages and feature opportunities.